So, today is a good day and it’s only 09:15. I have just taken delivery of Melanie Chadd Photography branded USB’s. All future clients will receive their images on these memory sticks. Previously I have used disc’s but to keep up with technology a move to USB’s seemed to make sense. They can be used on laptops, Macs and even on new televisions! Just imagine, your photo’s on your big screen telly…..
To keep your memory stick safe it will come with a presentation tin, which is also branded with my logo. In between Christmas and New Year I had the pleasure of being part of Charlotte and Jonathan’s wedding. A small party of family members and friends joined the Bride and Groom at Malvern Registry Office. Thank fully the weather was dry, compared to how it had been in more recent weeks. This gave us great opportunity for photo’s outside in Priory Park. The reception was an intimate affair at the Cotford Hotel, Malvern. Drinks were served before all sitting down for the wedding breakfast. I would like to wish The new Mr & Mrs Townsend all the very best for their future together. With Christmas 2012 fast approaching I have some offers for something a little different. A two hour location session. This can be used for photo’s of the children or group shots with mum and dad too. Great gift for Nanny & Grandad. This session will bring out the best in your favourite furry friends. All images for both offers will be supplied on a presentation disc. Do you remember the fabulous weather we had during the Easter weekend this year? I had a trip down to the beautiful city of Canterbury, Kent for a rather different wedding. This was a business and pleasure wedding. I was there in an official capacity as photographer and as a family member. The venue was the stunning Winters Barns, Canterbury. The Bride wore an original 1950’s lace tea dress that was so amazing and her bouquet was hand tied hot pink peonies. Keeping it in the family the bride arrived in style in her dad’s immaculate H reg Mini Cooper. The ceremony was perfect and held in the timber beamed barn creating an intimate and warm atmosphere. With only a short list of posed photographs required by the Bride & Groom I was free to take some more natural shots to capture the day. After the high tea wedding breakfast we were offered coffee and a selection of cakes, macaroons and flapjack. Wow wow wow.. So, after the speeches I was relieved of my official duties but ever the photographer I still wandered around capturing more of the family wedding. Of course there was plenty of dancing and faces we had not seen for some time so it all made for a rather special day. I would like to thank Kate & Ashley for allowing me to share their day in both respects. Leap Year this year and with only a few days to go until February 29th will you be proposing to the love of your life? Have you got it all planned down to the last detail? Rings sorted? Table booked? Or are you planning something more adventurous? Let me know how it goes and you could win an engagement shoot with me. Are you getting married this year? The London Olympic year, 2012? 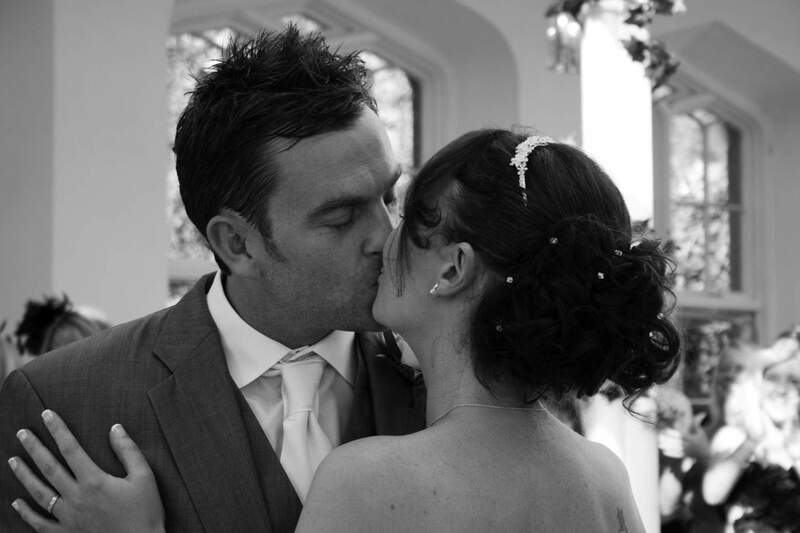 Are you still looking for someone to capture your perfect day with photograph’s to treasure forever? Then this may be the place to stay…..
During February and March 2012 with all wedding bookings made, you will receive a free pre-wedding shoot. So, you get more for your money (always a bonus) and good chance for us to get to know each other before your big day. Please call me or use the site to send me an email for any enquiries. I look forward to hearing from you. I will be at the Alexander Park Wedding Fayre this Sunday – 25th September, 11am-4pm. Alexander Park is set in 140 acres of stunning parkland between Ledbury and Hereford on the A438. Perfect setting to discuss all things weddings and photos. Looking forward to meeting some of you..